Welcome to Jack Davenport Sweeping Services! Jack Davenport Sweeping Services offers quality street sweeping, parking lot sweeping, power washing and day porter services to counties, property management companies, and construction clients throughout California utilizing the latest PM10 and Rule 1186 AQMD compliant machinery. We adhere to strict environmental guidelines set by the California Air Resources Board and offer a dedicated and dependable service, 24/7. We offer: quality street sweeping, power washing, and porter service for municipal, residential, and commercial clients. Is the largest, most experienced street and parking lot sweeping business in Kern County. 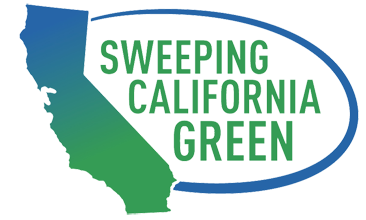 Provides municipal, commercial, and residential street sweeping, power washing, and day porter services statewide in Kern, Monterey, San Benito, Sacramento, and Santa Cruz Counties. Has a modern fleet of 30 broom and regenerative air PM10 and Rule 1186 certified street sweepers to protect the environment and follow EPA and CARB mandates. Is a California SBE certified contractor. Is proactive in securing the latest technology to protect the environment and service our clients efficiently. Has been in business for 33 years. Employs 25 skilled operators, mechanics, and office personnel. Is able to provide service for prevailing wage jobs. Offers on call and one-time services. Has safety training programs for all employees. All of our vehicles follow PM-10 Certification standards. Click here to find out more about what this means.